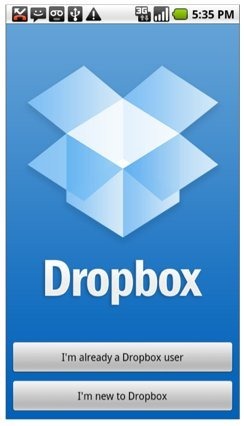 Dropbox – the highly popular and extremely useful web based file syncing service is coming soon to an Android phone near you. The Dropbox app for Android is expected to be available in the next few months, and is definitely worth a wait. This upcoming Dropbox app for Android will not only allow users to view their files from their phones, but will also support playing multimedia content like music and movies. If user desires, he can store his key documents locally on his Android phone, or on the cloud storage. If a file is edited, as expected, it will automatically sync up with all the linked devices. Users will also be upload new files and share them with friends and family if they like. The app will also be integrated into Android’s system wide ‘Share Via’ menu (my favorite feature of Android! ), so that you can immediately upload a photo or video to Dropbox that has just been shot. Will certainly be taking a closer look at this. We provide a file sharing service ourselves so it will be interesting to see how this works out.